Please suggest me root causes for occurring Air Bubble Defects in 75Cr3C2 -25NiCr coatings deposited by Detonation Spray Process. The substrate geometry is Cylinderical and powder used was H.C.Starck make. These Air Bubbles occurring in coating after some time (i.e minimum 5 days after coating and finishing) area after finishing coating by wet grinding and wet lapping. Please suggest what precautions to be taken to eliminate the same. Could you describe in more detail the "Air Bubble Defects", ideally with a photo image. Other details like substrate, substrate preparation, coating thickness before and after finishing, sealing, environmental exposure conditions up to occurrence of defects etc. would make answering your question easier. 3) Coating Thickness before grinding is 350 to 400 microns and after grinding at finish size coating thickness is 200 microns. 5) Grinding carried with diamond grinding wheel and coolant use during grinding, lapping also carried by using coolant. 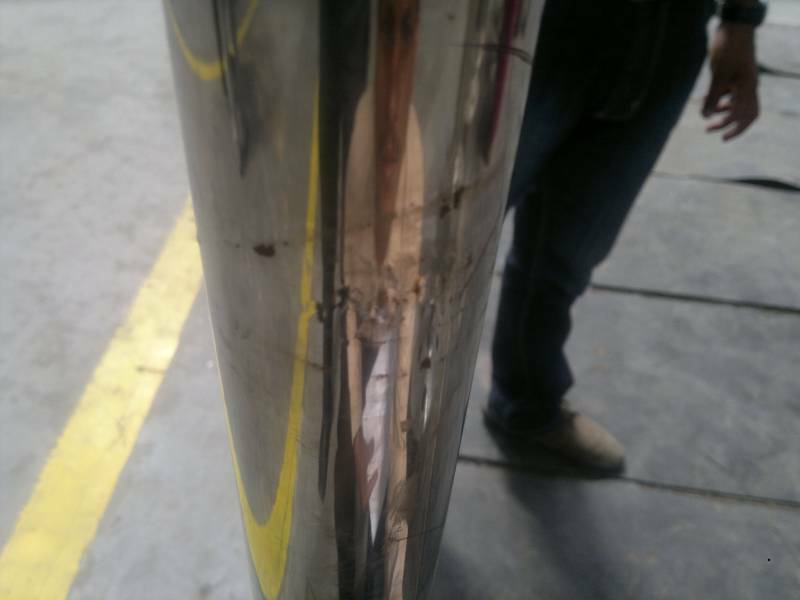 6) The defects (Air entrapment taking place between Coating layers, because of that coating top layers looking like Air bubbles) observed at customer end before going to use and meanwhile customer kept in stores for 3 to 4 months. I am unable to attach pictures here and i will forward to your e-mail id. Please suggest me things were went wrong during deposition of coating. Sorry, I'm still a little unsure of what you mean by "The defects (Air entrapment taking place between Coating layers, because of that coating top layers looking like Air bubbles)"
Is this porosity or surface blistering? 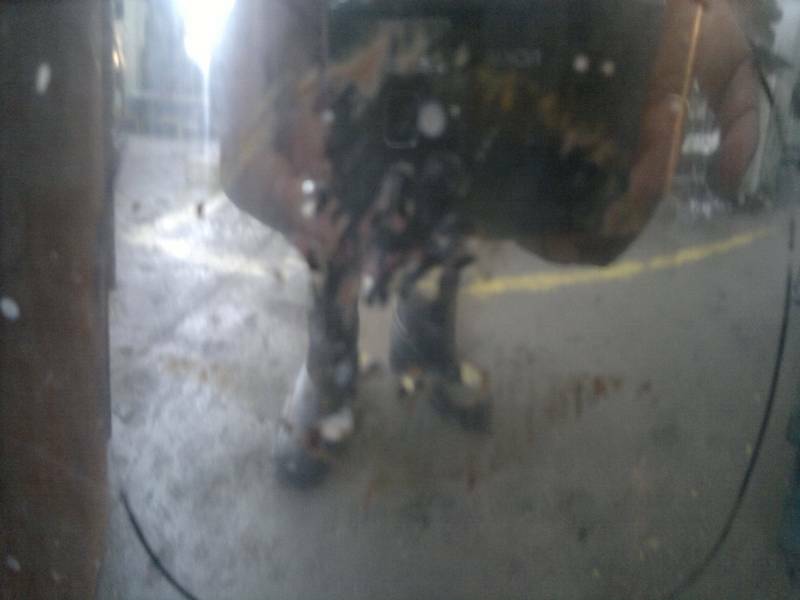 Pictures sent to your e-mail id and the defects are occurring because of poor bonding between coating layers and finally coating top layer looking like just going to burst in which air is there and diameter of defect varies from 4 to 15mm often but some times diameter of defect is 30 mm also. I have inserted images into your last post. I can't tell too much from the images, but assume your getting what I would term as blistering. Unfortunately, identifying the cause is not so easy, particularly via the internet. Is this an isolated incident effecting one part or many? Do defects occur in isolated areas or just generally all over? When coating bubbles are burst, what is below? more coating? substrate? corrosion product? What thickness per pass was used to build coating up? Any records on process temperatures? Do you have any coating metallography from actual coating or even test pieces (if done in similar manner and are fairly representative)? Has there been any evidence of any failure just after coating or just after finishing? Was there careful monitoring of finishing processes? How were the part stored? Coating blistering could possibly be caused by poor procedures in substrate preparation, coating process, finishing, storage and handling. Thank you for your quick reply and i also agree that it is very difficult to find solution through internet but we do not have good exports like you to help us in this condition. hence, i am trying to give as much as information to you for your questions. 1) Is this an isolated incident effecting one part or many? A) it is occurring in many components from one year onwards, previously we dont have this problem for 5 to 6 years on same component. 2) Do defects occur in isolated areas or just generally all over? 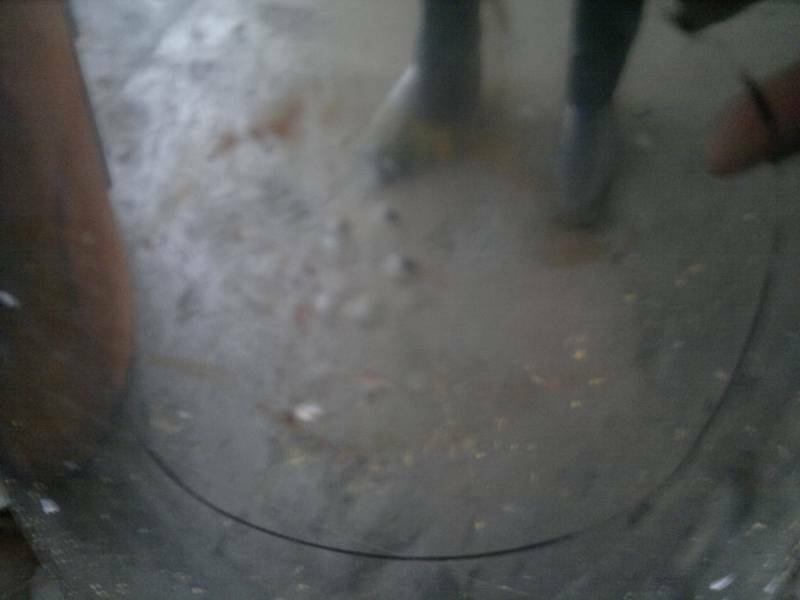 A) The defects occurring mostly in the middle of coating area, starting and ending points across the coating length. 3) When coating bubbles are burst, what is below? more coating? substrate? corrosion product? A) Most cases Corrosion Product observed after burst for stored components and for as coated surface observed for those components which failed during grinding after coating. 4) What thickness per pass was used to build coating up? 5) Any records on process temperatures? A) Component temperature is maintained below 150 degree centigrade only through out coating process. 6)Do you have any coating metallography from actual coating or even test pieces (if done in similar manner and are fairly representative)? A) Metallography sample not available for the same. 7) Has there been any evidence of any failure just after coating or just after finishing? A) it is very rare but still one or two occasions, failure observed after gridning. 8) Was there careful monitoring of finishing processes? A) finishing processes carrying with the help of coolant only. 9)How were the part stored? A) Components will be cleaned with acetone and Paper will be rapped on coating area then bubble sheet will be rapped and finally rubber sheet also used to rap component finally. 10) Possibility of mechanical damage? A) There is no evidence of mechanical damage and no chance for the same. Please try to help us. Quote: 1) Is this an isolated incident effecting one part or many? I suggest you try and determine what has changed over this period. Quote: 3) When coating bubbles are burst, what is below? more coating? substrate? corrosion product? May be worth getting an analysis on the corrosion product. Fact that corrosion is occurring suggests 1. storage conditions are not good and 2. coating is poor or damaged (possibly during grinding) to allow corrosive media to get through coating. In addition to Gordons suggestions, may I inquire the time lapse from grit blast preparation to spray process? The photos suggest the corrosion pattern is a spiraling effect, almost as if the surface was wetted while the part was turning before spraying. After coating and after grinding, I highly suggest inspecting the coating for evidence of cracking. (09-07-2011 12:57 AM)ServiceTech Wrote: In addition to Gordons suggestions, may I inquire the time lapse from grit blast preparation to spray process? ServiceTech has a good point, but it seems difficult to truly make the determination from the photos. We are all making best guesses based on limited information at this point, but my thought would be to process one roll utilizing a sealer and see if it eliminates the defect. In theory your grinding and lapping coolant chemistry might produce a defect during the storage life that wouldn't necessarily be apparent during processing. Alternatively if the use of a sealer is not permissable from the customer perspective, then perhaps reducing the thickness applied per pass will reduce the potential for liquids to become entrapped in the coating layers. If you have it available ESCA (electron spectroscopy for chemical analysis) on the corrosion product and underside of failed coating would probably be sufficient to tell you what is going on here. I would agree that prepared surface appears to be already contaminated and corrosion is already underway before coating begins. Squirting a little acetone on the finished coating will reveal cracks that you wouldn't normally be able to see.